If you drive a long based vehicle or a vehicle with a trailer or caravan attached to the back you will already know it’s hard to reverse without being able to see everything behind at the same time, but with the Buyee Car Reversing Camera this takes all the difficulty out of it. Even if you have an older car model that doesn’t come equipped with an LCD screen in the front dashboard that allows you to see what’s happening behind, a product such as the Buyee reversing camera can make you feel a lot more comfortable – and for the price it’s well worth having around. 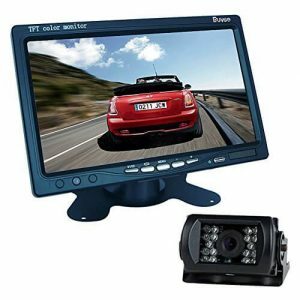 Large TFT LCD Monitor – This Camera comes with a large 7 Inch TFT LCD Monitor that can be placed on the dashboard for your viewing pleasure. This monitor comes in widescreen so you’ll be able to see everything clear as day and with its full colour display makes this Buyee product very competitive. 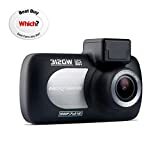 Waterproof camera – The camera that sits at the back of the vehicle is fully waterproof so is perfect for driving in all weathers. 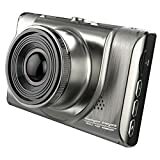 This IR camera provides a wide view angle which makes backing up easier and safer – it has a 120 degree viewing angle. Night vision – This Buyee product was manufactured with night drivers in mind and they have implemented a night vision setting for this to work perfectly during night driving. Night vision is implemented using 18 infrared LED technologies. Easy Installation – A lot of reversing cameras these days are of brilliant quality, but what some manufacturers seem to forget is that not everyone is technically gifted when it comes to installing these products and they often come with many different wires and no detailed instructions. This Buyee camera comes with simple instructions and it isn’t a complicated design, it can be installed quickly and easily. Protection from the sun – Some monitors and cameras provided by other manufacturers don’t always think about the glare from the sun which sometimes prevents a clear view for the camera to record. This Buyee product has an adjustable shade to prevent this from happening which provides a much clearer recording experience. 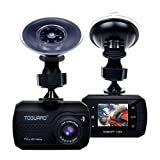 Monitor mounting plate – You may wonder how the monitor is going to sit on the dashboard nicely and that is easily done with the mounting plate Buyee has included with the camera purchase. The mounting plate can easily be installed by simply sticking it to the dashboard using the suction pad underneath. 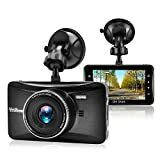 This Buyee product will always be up there with the best thanks to its great quality recordings and the fact it has many features some of the other dash cams do not. 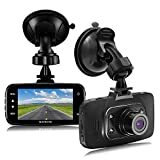 If you are looking for a quality dash cam to suit your needs but do not fancy paying over the odds for one this product should definitely be considered as your next dash cam – it has everything you need to start protecting yourself from other fraudulent drivers. 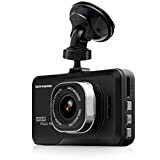 This Buyee Dash Cam is one of the cheapest dash cams on the market and with all the features and settings it provides it’s hard to disregard how competitive this product is in the current market.